In years past, Voorhees Township has had a stretch of Kresson Road as part of the Bike MS: City to Shore Ride, and this year is shaping up to be no different. The annual ride, organized by the National Multiple Sclerosis Society, raises money for multiple sclerosis research by having riders tour the scenic towns of South Jersey, the most popular route starting in Cherry Hill and finishing in Ocean City. That tour includes a stretch of Kresson Road in Voorhees, and so at the July 13 meeting of the Voorhees Township Committee, City to Shore rider and planner Jeff Craighead was present to thank committee and the township for supporting the ride and to present committee with an appreciation award. This year’s upcoming ride, originally scheduled for Sept. 26 and 27, was rescheduled to Oct. 3 and 4 when Pope Francis announced he would be visiting Philadelphia during the ride’s original September dates, a visit expected to attract up to 2 million visitors to the Philadelphia area. With the ride now a week later and in October, Craighead said planners believe the ride’s impact to Voorhees will be minimal, as estimates have the riders traveling on Kresson Road on the Saturday morning sometime from 6:30 a.m. to about 8:30 a.m. or 9 a.m., crossing Evesham Road and Centennial Boulevard. Then on Sunday, riders return spread out throughout the day. In support of the ride, Craighead also gave the committee some statistics regarding multiple sclerosis, saying 2.3 million people worldwide suffer from the disease, with 400,000 people in the United States and 15,000 people in the tri-state area, which Craighead’s chapter supports. Craighead said his wife has been one of those people since 1993. “We were introduced to MS suddenly in our house and got the diagnosis of an unpredictable neurological disease where the myelin in your nerves is attacked and that interrupts the signal of information from your brain to your body,” Craighead said. According to Craighead, the National Multiple Sclerosis Society spent $50 million in 2014 to fund more than 300 research projects, with the rest of the money raised going to help local families. In 2014 alone, Craighead said 7,000 riders and 1,200 volunteers worked together to raise $6.5 million, with this year’s goal even higher at $6.6 million. Upon Craighead presenting committee with a plaque, Mayor Michael Mignogna thanked him and the MS Society for the honor and said the township appreciated all that planners do to promote the event. 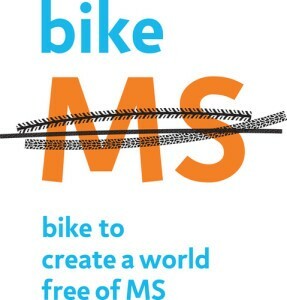 Those looking to learn more about the event or who wish to register as a rider or volunteers can visit www.bikems.org or call 1 (800) 445-BIKE. “We do encourage people in the township to get involved,” Craighead said.